These last few days have been so surreal because my sister just got married on Wednesday night! I posted a few photos on my instagram, in case you want to check them out. It was a small and intimate wedding dinner that turned out so beautiful and amazing. Words can’t even begin to express my happiness for her and my new brother. It’s been such an emotional and overwhelming last couple of days. I took yesterday off to just literally do absolutely nothing. It felt great! 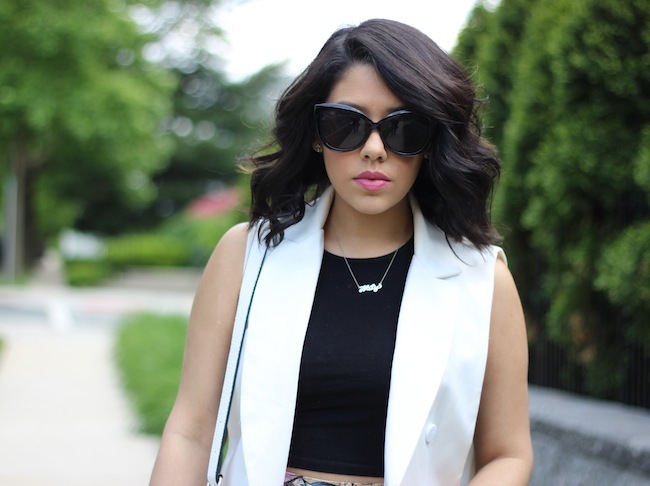 But, I am back today with a new outfit post just in time for Memorial Day weekend. Obsessed with every part of this outfit. Love it. You are so sweet thanks love!